I love the whimsical prints from Eva Franco, and this one is truly special. I'm a nerd at heart - just one who loves fashion - so the glasses here really spoke to me. People seem to like this print, too; I've had so many compliments on this dress. 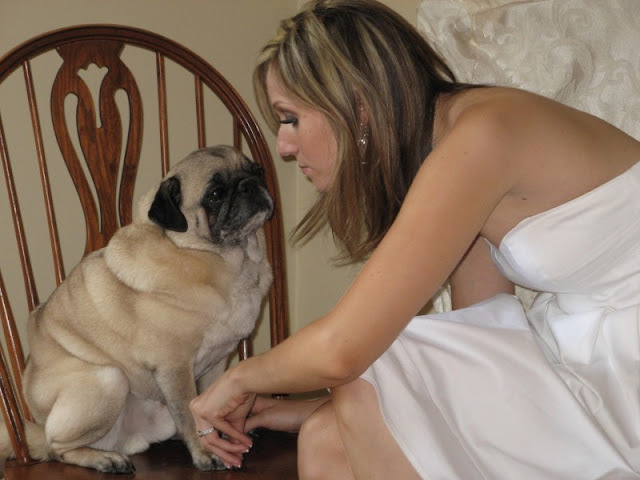 My thoughts are with my sister, Laura, today, who is mourning her pug, Bentley. "Bent Bent," as she liked to call him, passed away on July 29th, 2015. I only hope she is comforted by the fact that he lived a long life (he was almost 15), one where he was truly loved by Laura and the rest of our family. What is the point of life? In my opinion, it's to love, and to be loved. Bentley loved his mama with his whole heart, and he was loved in return. That is a life with meaning. Rest in peace, sweet Bentley. 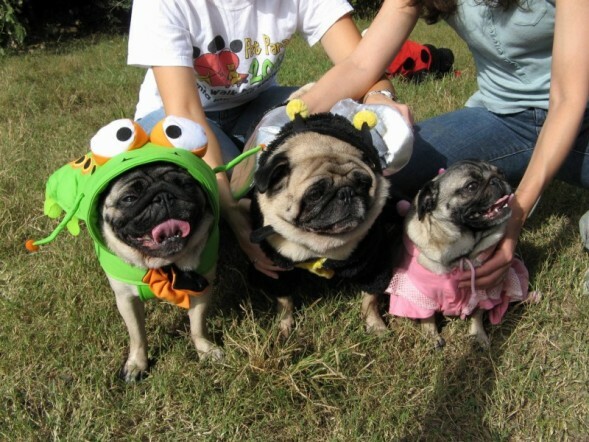 Bentley (middle) with his cousins, George and Izzie, in 2008. All three are now in Heaven together.